Elvis from the customer services department here – I say ‘department’, the customer services team is pretty much me! 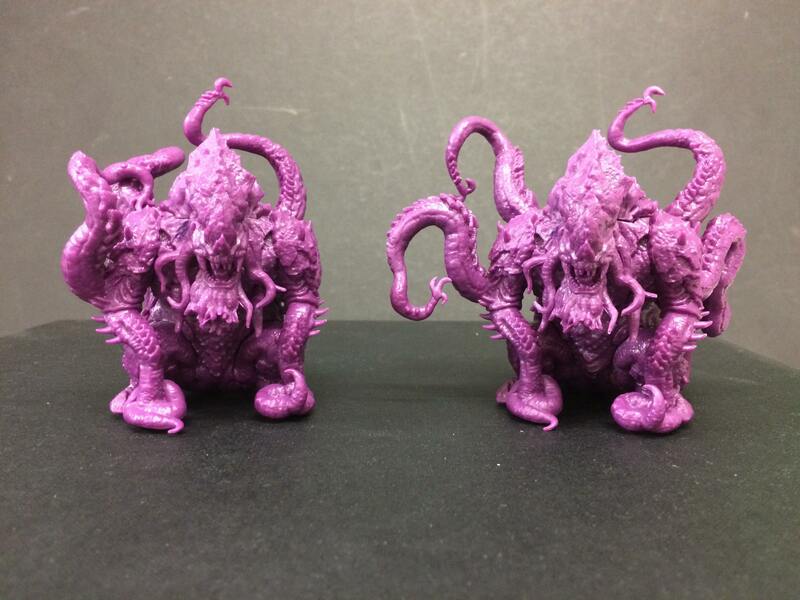 We have had a lot of questions lately about fixing bent miniatures. 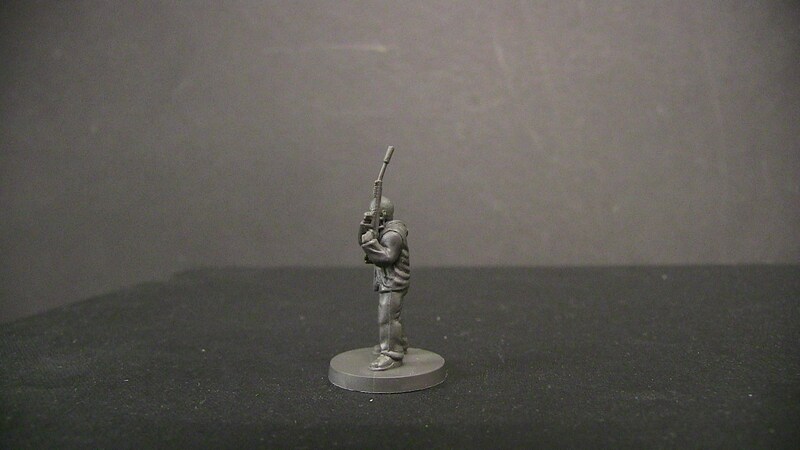 Unfortunately sometimes in the manufacturing process, thin parts of minis (like guns or spears can become bent). However, all is not lost because eesin and PVC will bend when heated, so you can put them back into the correct shape. This is very quick and easy once you know how to do it. All you will need is a bowl of hot water, a bowl of cold water, a grabbing instrument (I use a fork – hopefully a clean one without my Pot Noodles on), and a kitchen towel or some tissue. You will need to be careful as you will be using boiling water. My advice if you are of young age or clumsy (like me) is to get a responsible adult to help you. Ronnie, for example, does not count as a responsible adult. First, boil the kettle and stop it just before the water boils (just before it starts rumbling and moving). Fill one of the bowls with hot water from the kettle, and the other with cold water. Then, grab the model that needs correcting. 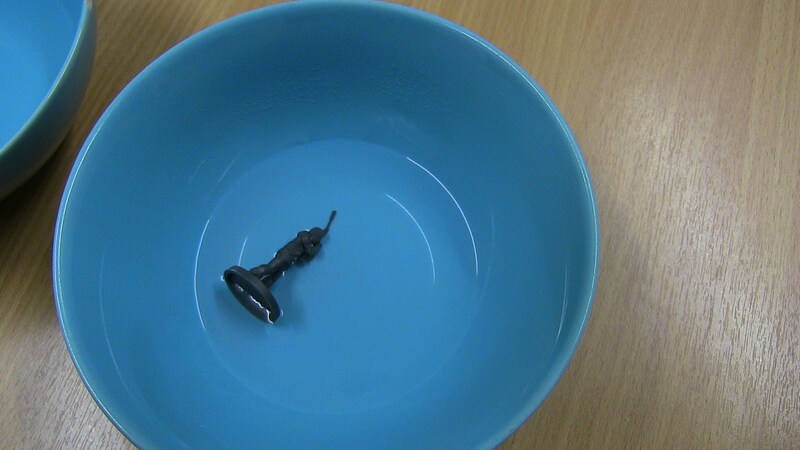 If this is just a weapon you can dip it into the water, keeping hold of the bottom of the miniature. If this is a larger piece you will want to submerge the model into the water fully. Don’t drop it, as this might splash boiling water on you! And we don’t want any compensation claims after you’ve read this blog. 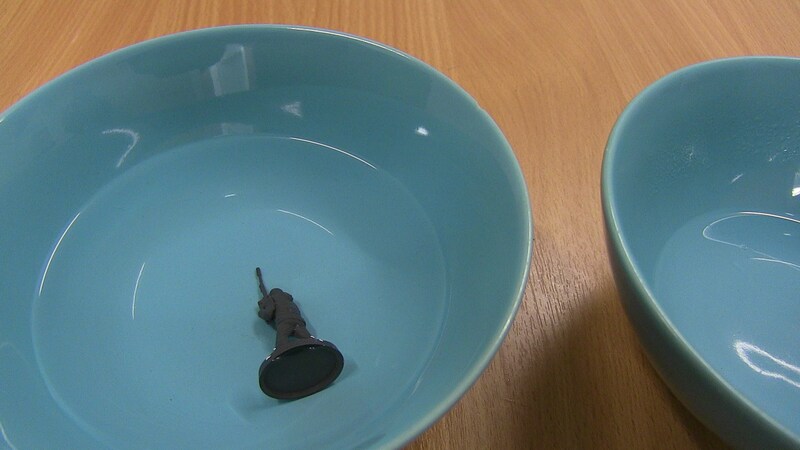 Leave the miniature in the water for between 30 secs to a minute (my advice is for the full minute as it needs to heat to the core). Basically, remember that the thicker the miniature is, the longer it’ll take for it to become bendy. When you’re ready, reach for your grabbing instrument and fish out the model – being careful not to touch the water. Drop it on a kitchen towel or tissue to soak up the excess liquid. The model will now be pliable and can be straightened or bent as needed. This can be done multiple times until you get the desired effect. If you need to get something flat, hold it against a flat surface like a table, and pushing down slightly. 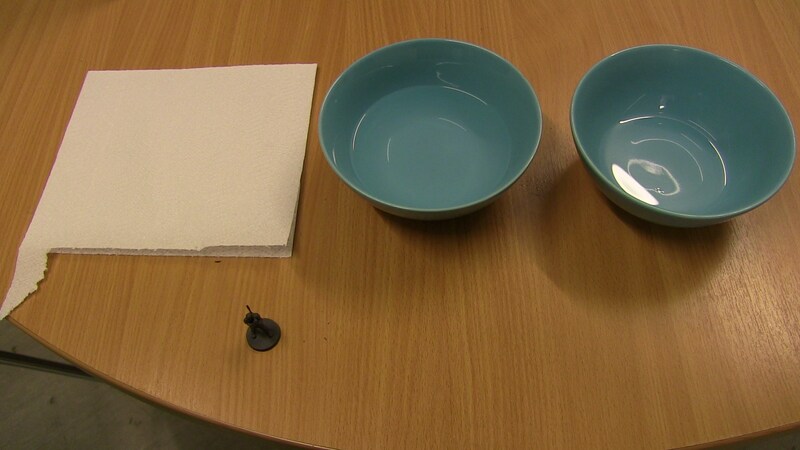 After you have the desired shape, dip the model in the bowl of cold water. This will set it to this new shape. Dry it off once more and your model will be ready for priming and painting! Hooray! You can use this process not only to correct bent components, but also to improve the fit between two pieces – if you press them together while they are warm. 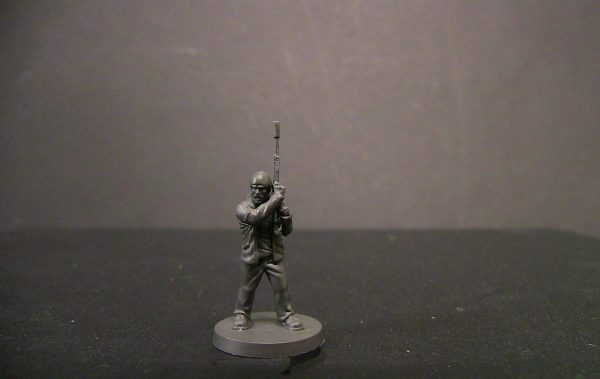 It can even be used to reposition the whole model to give it a completely different look – like Rob’s Nameless Goliath (below, left). Why not give it a try yourself? 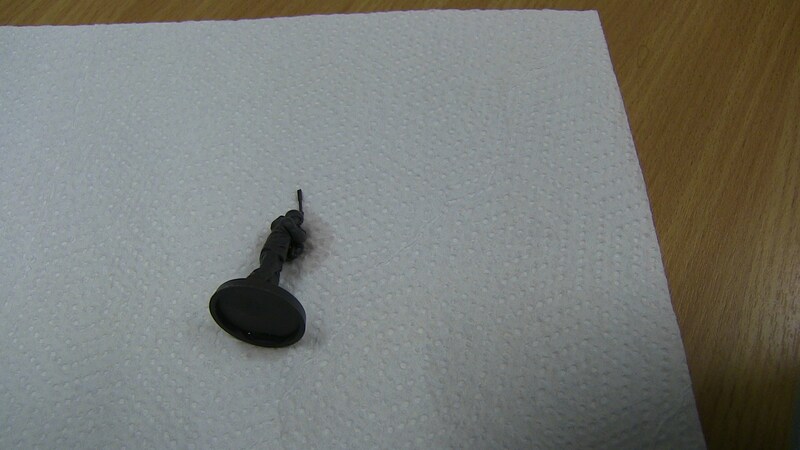 The post How to easily fix bent plastic and resin miniatures appeared first on Mantic Blog.